There is no industry undergoing more radical change than the energy sector. Under intense scrutiny and with a business model fast becoming unsustainable, energy companies are being forced to adapt. Changing regulations, new standards and competition from greener start-ups are combining to make decades of established architecture and processes less valuable than ever before. This is the reality for Engie, the world’s biggest non-state-owned electricity company, and its new CEO Isabelle Kocher. The first French female CEO at a CAC 40 listed company, Kocher is setting in motion a complex and far-reaching plan to secure Engie’s future. Born in 1966 in Neuilly-sur-Seine, Kocher comes to her new position with a wealth of experience in both management and engineering. She attended the famed École Nationale Supérieure des Mines Engineering School, and went on to research theoretical physics and artificial intelligence projects. 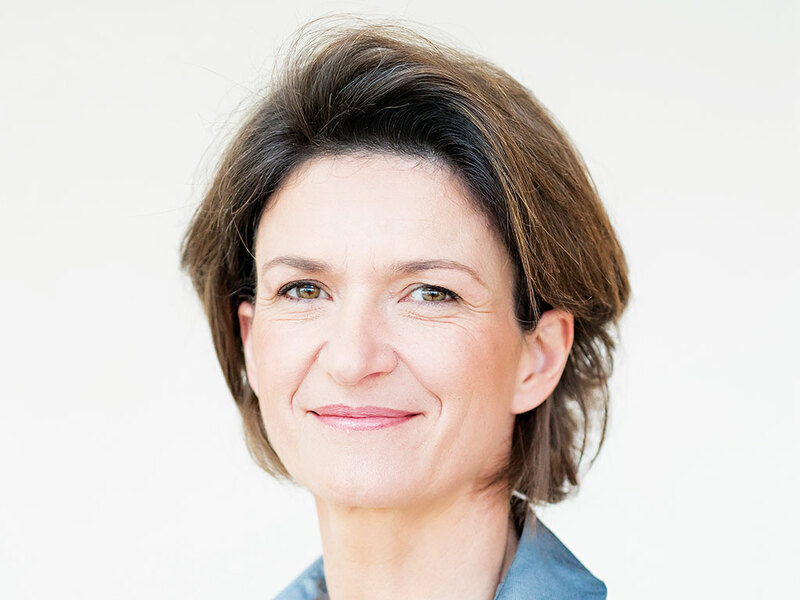 After working as a project manager at Société Européenne de Propulsion, she worked as a member of the French Ministry for the Economy from 1997 to 1999, before being appointed as an advisor to Prime Minister Lionel Jospin. In 2002, she moved into the private sector, the strategic development department at Suez. This move preceded a massive change at the company: itself the creation of a merger between industrial holding company Compagnie de Suez and municipal services conglomerate Lyonnaise des Eaux, Suez underwent a tumultuous merger to become GDF Suez. The battle for the future of Suez began in 2006, when the French Government mounted an effort to fight off a hostile takeover of the company from Italy’s Enel. The plan to ensure local ownership in Suez’s future was a merger with Gaz de France, a European gas distributor majority-owned by the French Government. Criticised by political opponents and shareholders of both companies, the deal ultimately took over two years to complete. The process often looked certain to fall through but, despite the bumpy journey, shareholders ultimately approved the merger in 2008 and GDF Suez was created. The size of the company that resulted from the merger was staggering. At the time, GDF Suez boasted annual sales of €74bn, including the water and waste arms of the company that were partially spun off in the deal. It ranked as Europe’s second-largest producer of electricity and the continent’s biggest gas distribution and transport group. In 2015, it was renamed Engie. Kocher, meanwhile, had ascended to Executive Vice President and then CFO at GDF Suez. She was earmarked to become the next head of the company, following Gérard Mestrallet who had served as CEO of the group since the 2008 merger. It was not the first CEO position she was offered, having turned down an opportunity to lead nuclear group Areva in 2011. At the time, Kocher felt happy at Engie, and didn’t see much of a future at Areva. “Much as I believe in keeping our existing nuclear fleet, I think there is less and less space for new nuclear today”, she told the Financial Times. “This was my feeling at the time, and it is much more so today.” The decision proved to be wise; in 2015, Areva was forced into a bailout from the state, its primary shareholder, and is going through the process of selling off its nuclear reactor division. Kocher’s ascent to CEO of Engie, completed in 2016, was not without some controversy. While Mestrallet was long expected to leave when Kocher was appointed CEO, he has in fact stayed on as Chairman. This raised speculation over tension between the two, though Kocher has said this was not the case. Elaborating on the matter, she said she had asked Mestrallet to stay on, and that he would play an important role in leading the company through the quickly changing energy market. Kocher’s appointment also represents a new achievement in terms of women taking up high-ranking positions in European companies. She is only the second woman to run a CAC 40 listed company, with Pat Russo’s stint as head of Alcatel-Lucent from 2006 to 2008 being the first. According to research released by S&P Global Market Intelligence, the number of female CEOs in the S&P Euro 350 index has only increased by approximately one per year since 2008. Kocher herself, however, sought to play down the significance of her appointment, saying she felt being a woman never really impacted her career prospects. The European energy market, like every other in the world, is undergoing a significant transformation. The COP21 agreement reached in Paris in 2015, designed to limit the impact global warming to two degrees Celsius, has made the challenge traditional energy producers face far more tangible. The EU has established a target of a 40 percent reduction in greenhouse gasses by 2030, accompanied by substantially changing standards for how electricity is generated. With subsidies and increased demand pushing the price of renewables lower, the traditional giants of electricity generation have been forced to contend with a business model that is losing relevance. While it’s easy to dismiss the 2015 rebranding of GDF Suez to Engie as little more than a name change, the intention was to reflect the changing nature of the company. At the time of the announcement, Mestrallet explained that meeting the challenges of energy transition prompted the name change. In November 2015, Engie’s profit report highlighted the challenges at the firm. The company announced its earnings before tax fell 7.5 percent in the first nine months of 2015. The dented earnings were thanks to challenges on a number of fronts. In October, the company cut its earnings forecasts by €100m after the postponement of plans to construct two nuclear plants in Belgium, due to safety concerns. Also adding to the falling profit was disappointing demand for natural gas in Europe, and a drought in Brazil hindering the profits from its dams there. For the entirety of 2015, the group suffered a net loss of €4.5bn. But, despite the challenges, Kocher is ready to face the difficulties head on. It’s these challenges that have prompted a wave of significant shifts at Engie. In October 2015, the firm announced it would not launch any new coal-fuelled generation projects. Along with this, Engie has agreed to sell its portion of two coal-fired generation plants; one in India and the other in Indonesia. In other areas, the group has committed to supporting smart grid technology and other connected solutions. From an organisational perspective, Engie implemented a new structure at the beginning of 2016, and a new performance plan is set to reduce net costs at the organisation by €1bn within three years. But, since taking the role of CEO, Kocher has pushed Engie even further than anyone expected. Speaking with Le Monde soon after her appointment, she explained her vision for the future of the company and how a revolution in energy technology is producing a broad shift of people becoming not just energy consumers, but energy generators through the use of technology such as roof-mounted solar energy panels. To this extent, the commitment to cleaner energy generation is not just based on morals or the environment, but is a business necessity if Engie is to survive a shift this substantial. In order to ensure the group was prepared for a decarbonised future, one of Kocher’s first acts as CEO was to announced the divestment of €15bn in oil and coal, effectively signally the end of Engie’s involvement with those fuels. After the monumental agreement at COP21, 2016’s COP22 in Marrakesh attracted less international attention, due in no small part to the distraction provided by the US presidential election. While Donald Trump’s victory has cast significant doubt over the US’ ongoing role in 2015’s agreement, the annual summit is still an integral part of the global conversation surrounding climate change. Speaking with Revue des Mines ahead of the summit, Kocher said an increasingly sustainable and decentralised energy mix has put politicians, local authorities, consumers and the industry in pivotal roles to enable the transition. What was once normal for energy companies can no longer be expected. Kocher has inherited her job at a difficult time, and in order for the company to stay afloat it will have to significantly shift to meet changing requirements. However, with her clear vision for the future, Kocher is in line to lead the way in meeting the challenges of tomorrow.